Angels & Demons is a 2000 bestselling mystery-thriller novel written by American author Dan Brown and published by Pocket Books and then by Corgi Books. The novel introduces the character Robert Langdon, who is also the protagonist of Brown's subsequent 2003 novel The Da Vinci Code, his 2009 novel The Lost Symbol and his 2013 novel Inferno. 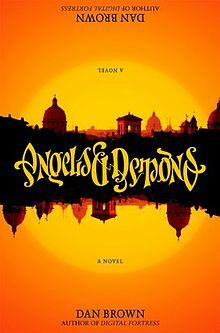 Angels & Demons shares many stylistic literary elements with its sequel, such as conspiracies of secret societies, a single-day time frame, and the Catholic Church. Ancient history, architecture, and symbolism are also heavily referenced throughout the book. A film adaptation was released on May 15, 2009. The Da Vinci Code film had been released in 2006. The book contains several ambigrams created by real-life typographer John Langdon. Besides the "Angels & Demons" and "Illuminati" designs, the title of the book is also presented as an ambigram on the hardcover book jacket (see illustration at right on this page), and on the inside cover of the paperback versions. The book also contains ambigrams of the words Earth, Air, Fire, and Water, which has served to bring the art of ambigrams to public attention by virtue of the popularity of the book. The "Illuminati Diamond" mentioned in the book is an ambigram of the four elements arranged in the shape of a diamond. Bernini's Habbakuk and the Angel, and Agostino Chigi's pyramidal wall tomb. West Ponente at Saint Peter's Square. The Fountain of Four Rivers. After viewing Kohler's tape, Langdon, Vittoria and the cardinals confront the camerlengo. Shortly before the novel begins, the Pope met with Leonardo Vetra who believed that antimatter was capable of establishing a link between science and God. Vetra's beliefs caused great discomfort to the camerlengo. While discussing Vetra, the pope reveals that his support is due to science having given him a son. Without waiting to hear the explanation (that the child was the result of artificial insemination) and horrified that the Pope appeared to have broken his vow of chastity, the camerlengo plots to rectify the situation. He poisoned the pope and, under the guise of an Illuminati master (Janus), he recruited the assassin to kill Vetra, steal the antimatter and kidnap and murder the preferiti. The camerlengo planted the antimatter in St. Peter's basilica, feigned his last minute vision from God and retrieved the canister just in time to save the Vatican from the ensuing explosion. This was in hope to unite the struggling Catholic Church. The Illuminati involvement was merely a plot engineered by the camerlengo to cover his own involvement. Upon the discovery and the camerlengo's attempts to justify his murder of the Pope, Cardinal Saverio Mortati, Dean of the College of Cardinals, reveals that the camerlengo is in fact the late pope's biological son, conceived with a nun through artificial insemination. Overcome with guilt, Ventresca soaks himself in oil and sets himself on fire before a crowd of onlookers in St. Peter's Square. His ashes are recovered by Mortati, who places them in an urn which is placed inside his father's sarcophagus. It is revealed that the cardinals' endorsing of him would have made him Pope by acclamation. Mortati is unanimously elected pope by the cardinals and Langdon and Vittoria reunite at Hotel Bernini where they share an extensive meal before making love. The last brand, the Illuminati Diamond, is given to Langdon on indefinite loan, provided he return it to the Vatican in his will. 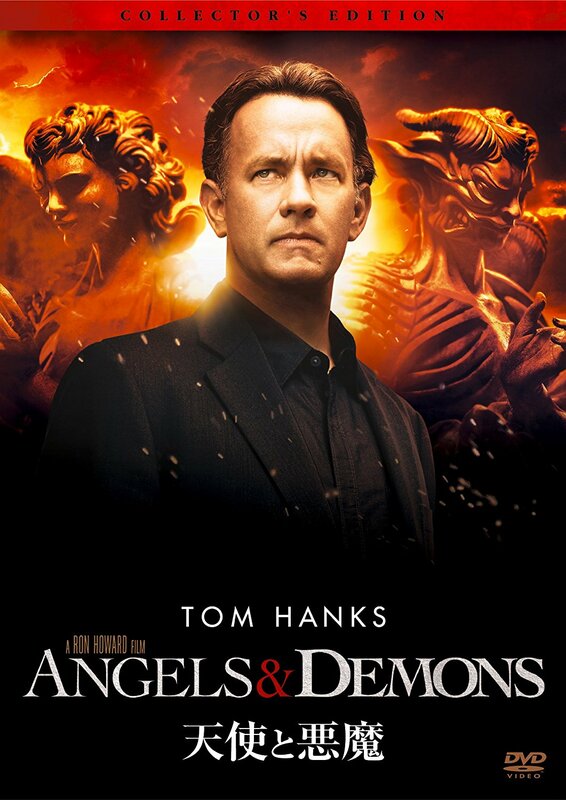 Robert Langdon: A professor of symbology at Harvard University and the protagonist of the novel. He is flown to CERN to help investigate the murder of Leonardo Vetra. He is described as wearing a Harris Tweed jacket, a turtleneck sweater, and a pair of chino pants. His name is a tribute to John Langdon. Leonardo Vetra: A scientist working at CERN and a priest. He is researching on antimatter when he is murdered by the Hassassin. He is also the adoptive father of Vittoria. Vittoria Vetra: The adopted daughter of Vetra. She, like her father, works with CERN. She is a strict vegetarian. Her research focuses on biology and physics. The reader learns early in the novel that Vittoria worked with her father in their research of antimatter. Camerlengo Carlo Ventresca: The Camerlengo (papal chamberlain) during the conclave. He murdered the pope, who is later revealed to have been his biological father. His code name for dealing with the assassin is "Janus," taken from the two-faced Roman god of beginnings and ends. Cardinal Saverio Mortati: The most senior cardinal in the conclave, and the current Dean of the College of Cardinals. He was the Devil's Advocate for the late pope. Commander Ernesto Olivetti: The commandant of the Swiss Guard. He is initially skeptical about the claims of Langdon and Vittoria until he talks with the Hassassin. He, along with other Swiss Guards, searches desperately for the missing antimatter hidden somewhere in the Vatican. He is killed by the Hassassin at the church of Santa Maria della Vittoria. Captain Rocher: The second-in-command after Commander Olivetti. He is contacted by Maximilian Kohler about his knowledge on the real cause of the events. He is killed by Lt. Chartrand, who was under the impression that Rocher was an Illuminatus. Hassassin: The killer hired by Janus to fulfill his plans. He is of Middle Eastern origin and displays his sadistic lust for women throughout the novel. He murders Leonardo Vetra, the Preferiti, and Commander Olivetti. He dies after being pushed from a balcony by Langdon at Castel Sant'Angelo and breaking his back on a pile of cannonballs below. Maximilian Kohler: The director of CERN. He is feared at CERN despite his paralysis. His wheelchair contains electronic gadgets such as a computer, telephone, pager, video camera, and a gun. He contacts Langdon to help him find the killer of his friend, Leonardo Vetra. He blames the Church for his disability, due to his highly religious parents denying him medical care as a child and becomes a scientist as a way to rebel. Gunther Glick and Chinita Macri: A reporter and his photojournalist for the BBC. They are contacted by the Hassassin regarding the events happening in the Vatican. Glick has a notorious reputation as a sensationalist and conspiracy theorist journalist. Macri, meanwhile, is a veteran camerawoman and a foil to Glick. They have the first hand account on the events in the novel, from the beginning of the conclave to the election of Mortati as pope. Lieutenant Chartrand: A young Swiss Guard. He, together with Commander Olivetti and Capt. Rocher, searches desperately for the antimatter hidden somewhere in the Vatican. He shoots and kills Captain Rocher after he is mistaken as an Illuminatus. Near the end of the novel, he is sent by the new pope to give the Illuminati Diamond to Langdon on indefinite loan. Cardinal Ebner: One of the four preferiti from Frankfurt, Germany. He is killed by putting dirt and soil into his mouth. Cardinal Lamassé: One of the four preferiti from Paris, France. He is killed by punctures to his lungs from which he bled to death. Cardinal Guidera: One of the four preferiti from Barcelona, Spain. He is burned alive. Cardinal Baggia: One of the four preferiti from Milan, Italy; the favorite to succeed as the new pope. He was drowned by the assassin. The book's first edition contained numerous inaccuracies of location of places in Rome, as well as incorrect uses of Italian language. Some of the language issues were corrected in the following editions. Aside from the explicit introduction, the book depicts various fictional experts explaining matters in science, technology, and history in which critics have pointed out inaccuracies. An example of this is the antimatter discussions, wherein the book suggests that antimatter can be produced in useful and practical quantities and will be a limitless source of power. CERN published a FAQ page about Angels & Demons on their website stating that antimatter cannot be used as an energy source because creating it takes more energy than it produces. 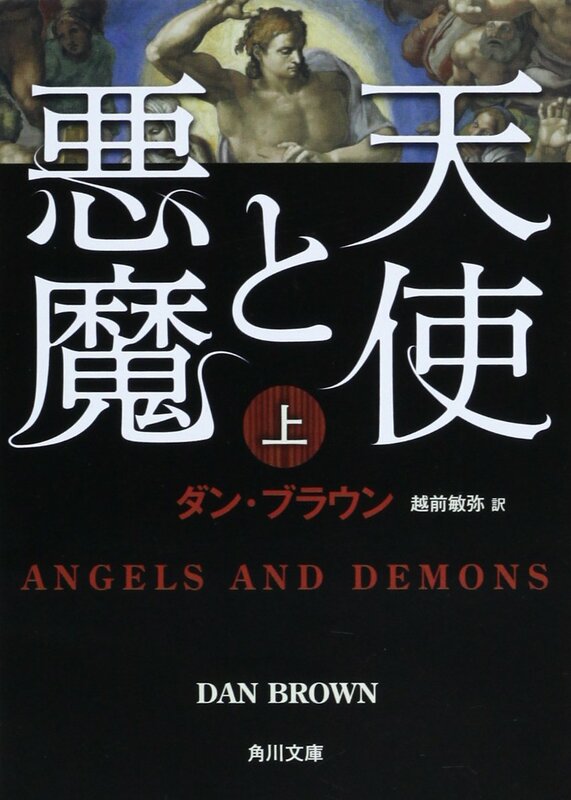 Angels & Demons Decoded, a documentary on the American cable television network, The History Channel, premiered on May 10, 2009, shortly before the release of the novel's film adaptation. The documentary explores the various bases of the novel's story, as well as its inaccuracies. A CERN official, for example, points out that over the last 20 years, approximately 10 billionths of a gram of antimatter has been produced at the facility, whose explosive yield is equivalent to that of a firecracker, far less than is needed for it to be the threat depicted in the novel. According to The Boston Globe language columnist Ben Zimmer, the Devil's Advocate, which is indicated in the novel to have a role in the selection of the pope, has nothing to do with the papal conclave, and was instead employed to present arguments against the proposed canonization of a person as a saint. Zimmer adds that the Devil's Advocate was abolished by Pope John Paul II in 1983, 17 years before the novel was published. Throughout the narrative, the front runners in the election of the new pope are referred to as Preferiti, i.e. those who are preferred. In actual fact, they are known as Papabile, literally "popable". ^ Jump up to: a b "Angels & Demons" Archived November 2, 2013, at the Wayback Machine.‹The template Wayback is being considered for merging.› . www.johnlangdon.net. Retrieved August 26, 2013. Jump up ^ "The Ten Most Famous Ambigrams". Ambigram Magazine. April 20, 2009. 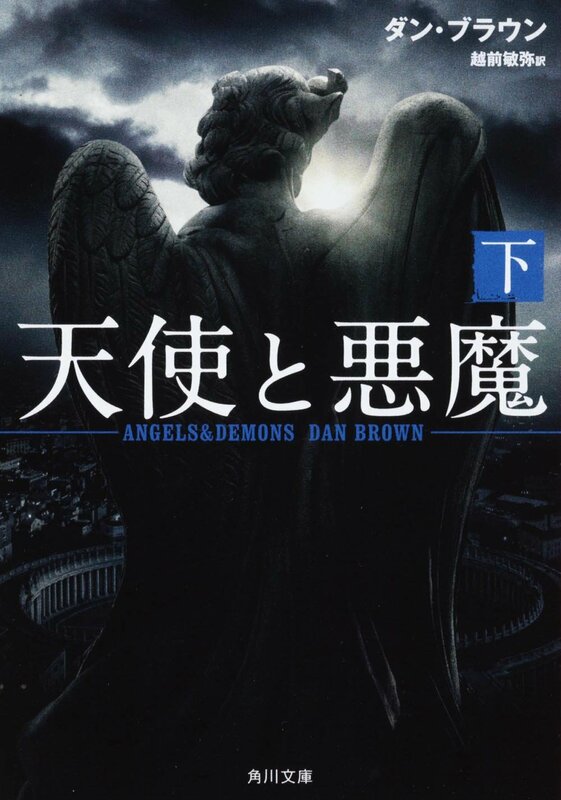 Jump up ^ "Angeli e Demoni di Dan Brown". Il Piacere Della Lettura. 2006. Retrieved August 26, 2013. Jump up ^ "Can antimatter be used as an energy source?". CERN. Retrieved August 3, 2015. Jump up ^ Comtois, David; Hartford, Scott (Writers). Angels & Demons Decoded. May 10, 2009. The History Channel. Jump up ^ Martin, Rachel (March 3, 2013). "Who Is The 'Devil's Advocate'?". NPR.